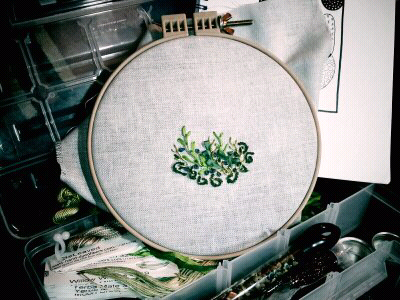 Adventures in Stitching: Mossy evening. Storm outside. Gathering moss tonight.